With a promise to love, will one final test break them apart? With a wedding on the horizon, Nick Carmichael and Kaylan Richards prepare to commit themselves to one another and their future together. 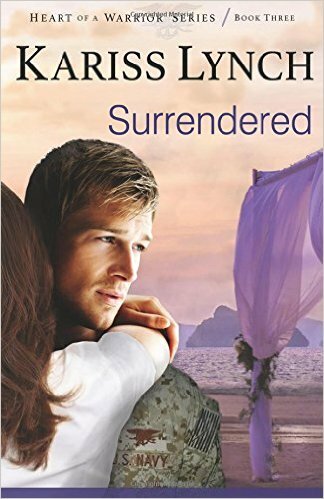 But for Kaylan, every step closer to the big day brings with it more disaster as she struggles to learn the sacrifice of joining the Navy SEALs. While she gains a new family, she will also gain all the secrets that come with it. In the middle of wedding plans, Nick is called away on one last mission. And this time, he will be forced to cooperate with the woman he fears and hates above all others: his mother and known terrorist, Janus. Can Nick find a way to forgive his mother and agree to fight together to take down one of the world’s biggest arms dealers? As the clock ticks closer to the wedding day, Kaylan and Nick fear Janus’s actions will cost them everything. Putting aside their uncertainty, they battle for their love, for family, and for the boldness to do what is necessary. Victory is possible, but as they come to find, it will only come with surrender.